1 medium sized Mango washed and wiped clean with a cloth.chop the mango into small pieces. Take about 3 cups of water to which 1/2 vati salt is added and boil it. the mango bits and keep the salt water separately. Take half of a tender Jackfruit and wash and pat it dry with a cloth. Now add a little oil to your hands and chop the jackfruit into small bits. Wash it and put them on a piece of cloth and pat them dry.Now make a potli and put it in a vessel and steam them for about 10 to 12 minutes. Mustard – 3 table spoons. In a kadai add some drops of oil and then on low flame roast the chillies. Keep it aside . 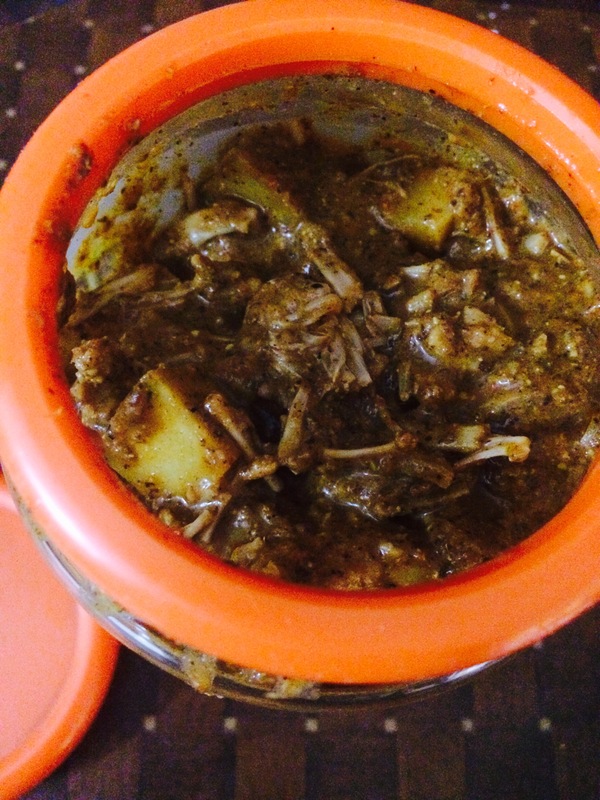 Follow the same procedure of roasting for mustard, coriander seeds and methi seeds.Roast them separately one by one. Now grind the above masala by using the salt water which had been kept aside. 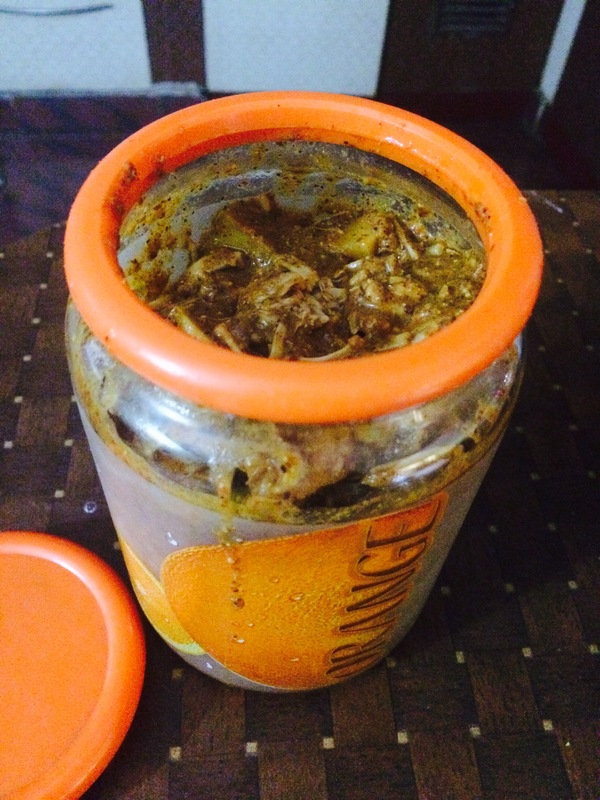 Mix the masala, Hing, turmeric, mango bits and tender jackfruit pieces.Store it in a glass bottle or jar.